Here is a look at the power windshields on MJM Yachts 50z. They are standard on the 50z and available as an option or retrofit on other MJM models. Hear what boaters have to say about the performance and handling of the all new MJM Yachts 35z. Capt. 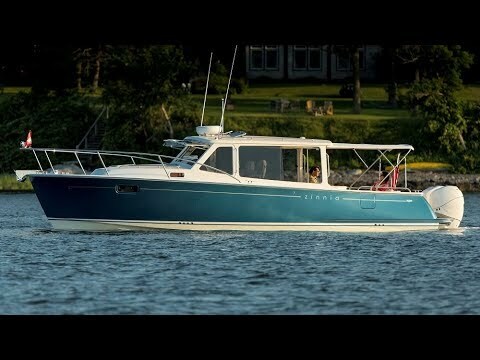 Ken Kriesler takes and in-depth look at the new MJM 35z and finds a lot to like in this hi-performing, eco-smart yacht. 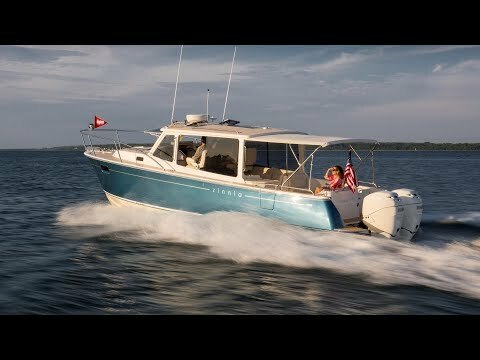 A conversation with owner Mark Rollins about his first sea trial experience driving the all new MJM 35z. 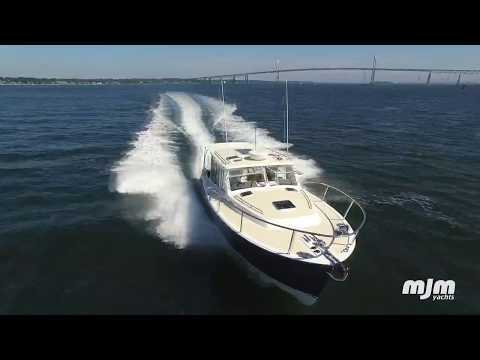 Here is a short teaser video of the first sea trials of the all new MJM Yachts 35z.